All the Best of Costa Rica at a Price That Makes Sense. 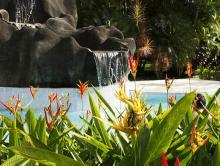 Explore some of Costa Rica’s most exciting destinations on this green season special package. Once you arrive in the country, a private transfer will be waiting to drive you to your first destination—the exotic region of Arenal. You’ll stay in a cozy cabin at Lomas del Volcan where you can enjoy the view of the volcano right from your patio! In La Fortuna the action is endless—enjoy an exciting zip line tour to get the adventure started. 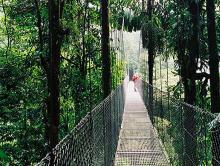 Then enjoy a peaceful hike through the forest on hanging bridges high up in the sky. Next up is Costa Rica’s Golden Coast where you will spend your days in an oceanfront paradise. 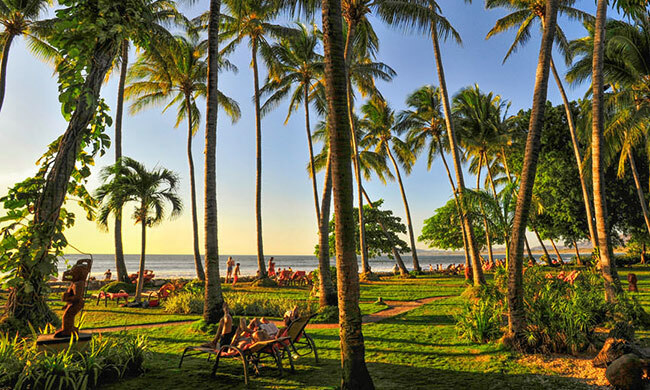 The Tamarindo Diria is a beachfront hotel in the lively town of Tamarindo. Famous for its year-round surf, as well as being a major tourist point in Northern Guanacaste, Tamarindo promises never to be boring. You’ll end your time in paradise with a sunset catamaran tour, taking photos and making memories to take home with you. What’s included in ‘Green Season Adventure’? Round ground transfer for the zip lining & hanging bridges tours. A zip lining tour in Arenal area, tram trip included! One of our representatives will meet you when you arrive at the airport. Take a ground transfer to Arenal where you will be staying at the rustic Lomas del Volcan. Get a different perspective of the jungle and on life as you fly through the trees during this thrilling tour. Later, be sure to enjoy the hiking trails and jacuzzi at Lomas del Volcan as well. Costa Rica’s famous green forests will never be closer as you traverse the two miles of hanging bridges in Mistico Park. Look for birds and butterflies, and take in the silence of the magestic forest. Go from cool mountain air to the warm breezes of the Pacific Ocean! 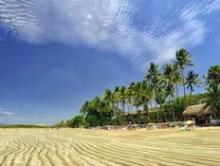 You’ll make your way to the Guanacaste coast, where you will stay at the beachfront hotel, Tamarindo Diria. This may be the most perfect day of your trip! Imagine yourself on a boat, cocktail in hand, taking in the ocean views and salty air. You may see dolphins, sea turtles, or even whales! And you will definitely get a chance to snorkel in the clear waters off the Costa Rican coast. End your experience with a delicious meal with the sunset before you. Guanacaste is commonly known as Costa Rica’s Golden Coast for its stunning golden beaches surrounded by exotic vegetation. Take advantage of the prime location of the Tamarindo Diria. Use today to explore the region, perhaps taking a tour of the national parks, going scuba diving, snorkeling, or just enjoying the sun. Your adventure has come to its end! Take a private transfer to the Liberia Airport where you will catch your flight back home.